AS710R/AS850R have modern styling and are compact, robust and easy to use. 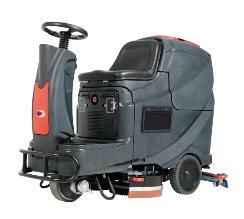 As standard, the machines are delivered with the following accessoiries: brush x 2, pad holder x 2, squeegee, on-board charger, and batteries 6V x 4. Front bumper and warning lamp is optional for the machine.